TRÄHUS is a set of wooden living room furniture, which consists of two stools and a coffee table. 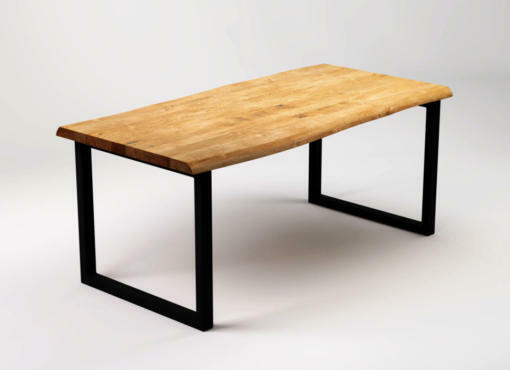 The furniture is made of specially structured solid spruce wood. The natural features of the wood such as grain, knots, hollows and cracks can be clearly seen. Joints are made using hand-forged iron nails. They are a unique decoration enhancing the rustic character of the furniture. 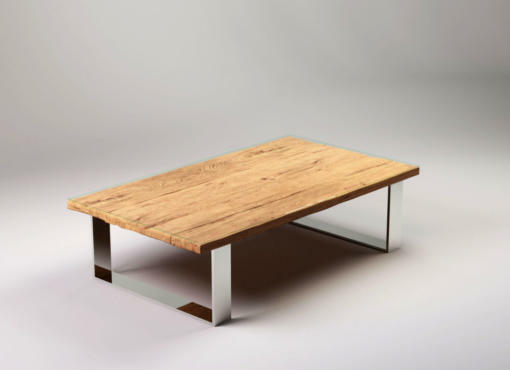 The tabletop of the spruce wood coffee table is covered with a sheet of hardened, colourless glass. This makes it easy to keep it clean and protects the wood, while the surface of wood is still clearly visible. Underneath the tabletop there is a shelf that can be used for storage. The stools are wooden cubes with a square opening in the middle. 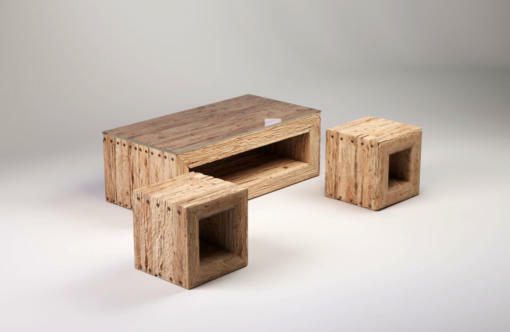 They have the same wooden structure and are as solid and stable as the coffee table. Depending on needs, they can also be used as side tables or bedside tables. Try punting your favourite potted plant on top to create a nice botanical style living room interior. 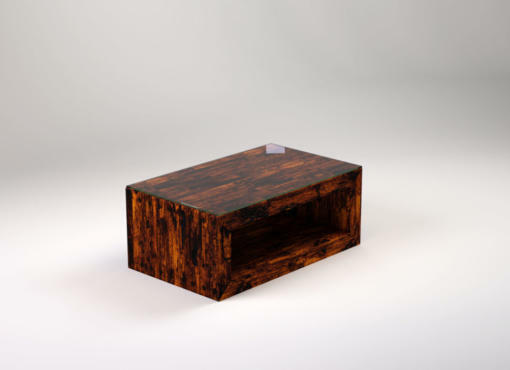 TRÄHUS set is a modern combination of minimalist form and traditional materials. The contemporary, rustic character of the furniture fits into the industrial style interiors, lofts and modern living spaces.